This fun round up of 20 DIY Fall Wreath Tutorials Will Make Your Home Autumn Ready and welcome all who visit. These are all easy to make and so beautiful to look at! Fall is almost here! 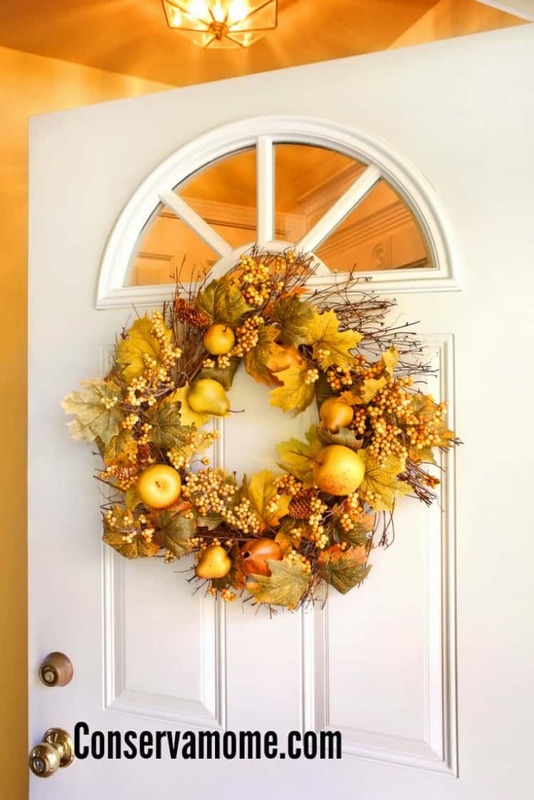 Why not start the preparation by making one of these gorgeous Fall Wreaths. Each one is as unique as it is beautiful. Full of fall colors, and items that will welcome anyone who comes to your door. Best of all most are so easy to make you’ll wonder why you never made a fall wreath before. These are the perfect touches for making your home autumn ready. So grab the crafting supplies and see how beautiful Fall Wreath’s can be! Looking for some more fall fun? Check out some of these Candy Corn Crafts and Recipes to go with your beautiful wreath or this Fun Fall Lantern Tutorial. These are a great group of examples. Now to find time to make them! A really nice collection! I really like the one with the colorful spray-painted pine cones. I always have a bunch of pine cones, but i never thought to spray paint them like that…I loved the colors they chose. I love the wreath from Simply Kiersten and really really love the wreath from the Turquoise Home. I have two doors so could hang both. Amazing ideas I hope to have wreaths for every occassion! These are great and beautiful ideas for sure I will be trying to make something for my g=front door Thanks so much! Every year I say I am going to make a wreath. I am so doing it this year. Thank you. These are awesome and so cute! So many gorgeous and creative ideas! The colors of the gold apple wreath are really nice, it’s my favorite. This seems so easy I almost believe my uncrafty self could do it. I wish I was more crafty because these are so beautiful! I’m still going to try it even though mine will probably look like a preschooler made it ? This is so cool! Bring on the fall! Great ideas! Getting ready to decorate soon so this will be wonderful thank You! These really look good. Lot of good ideas! These are all so lovely and I wish I had time to be crafty! I really like the leaf wreath and the yellow one with the fruits. They both seem to really capture the spirit of fall. . I always love these diy wreaths, but never actual make one…but I really need to this year! I am going to try may hand at making one of these. I need something to keep me busy . This would be a great and beautiful hobby. What a beautiful wreath! I wish I was more creative! I have a Halloween wreath, but I need to make a Fall one. Thank you for the inspiration. I especially like the simplicity of the DIY Fall Wreath Tutorial! I think I could even make one. I love these! The spider one is my favorite, so cute! I can’t wait until fall! I have always wanted to try my hand at making some of these Beautiful Wreaths. I am hoping i will be able to make one soon. Thank You for sharing these Beautiful Wreaths.. Thank you for the wonderful ideas! I’ll have to make a fall wreath for my front door. Fall is my favorite season of the year. I love the smell in the air and the colors of the leaves on the trees. I also love to decorate for fall. Starting late September through November many of these decorations can be used. Thanks for the crafts! I really love the one made out of fabric scraps. I’m not too crafty but I think I could accomplish that one for sure. I should try to make one. I still have remnants of the last project I abandoned, though. I love decorating for fall and these all look so neat! These wreaths are very pretty. I don’t know which one to make first. What beautiful wreaths! Im definitely making one soon! I love Fall, so these wreaths look beautiful to me. I love the ones using burlap. I really want to try making one this year! Our door needs some Fall spirit! These are so pretty!! 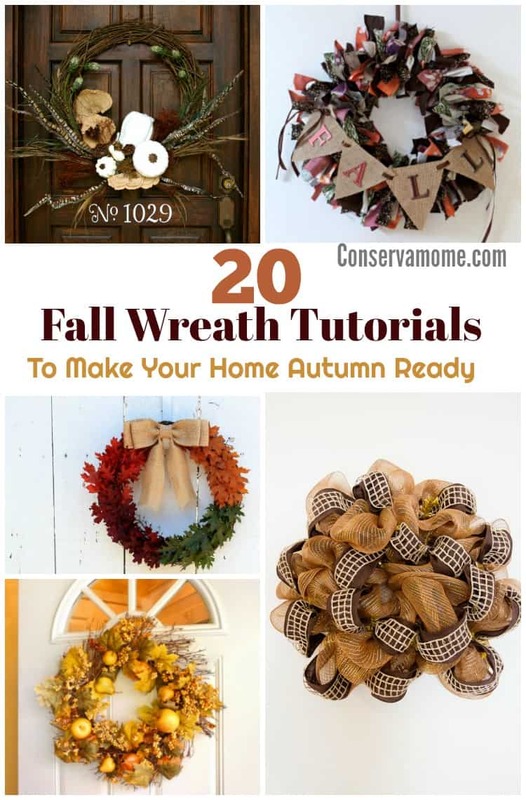 I love the one where the leaves change color as you go around the wreath! I love decorating for Fall!! Ready for some Fall weather too! So the forecast for the next three days is 100 degrees here in the valley but all I want to do is make Fall crafts and eat anything pumpkin flavored! Wreaths are an easy project and I like the one with Indian corn. Bring on the Fall! These are some great ideas!! I really want to make one for our home for this fall. Love the apple one.